It used to be that music was reserved only for those with deep pockets—if you really wanted to enjoy it at home, you had to hire living and breathing musicians. 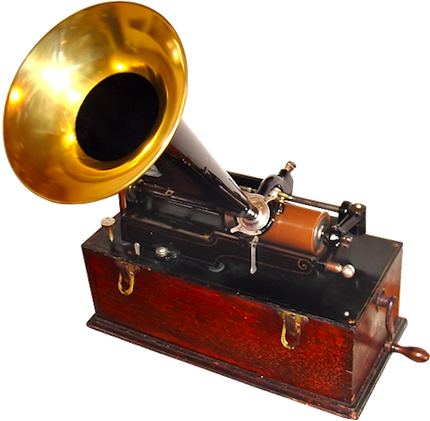 The first leap forward, the invention of the phonograph, was also a huge leap backwards, as fidelity to the source was not one of its selling points. Ever since, technology has been trying to close that gap. The vacuum tube was—and to some still is—the best attempt to solve the problem. I remember going to a friend’s house to listen to a hi-fi system for the first time. My friend’s father had bought it for five thousand dollars—enough to buy a car back then—and the relative prices have not changed much. If you browse Stereophile, you don’t have to flip through too many pages before you stumble upon speakers, receivers, amplifiers and even cables with prices that demand a Swiss bank account. So when my faithful Denon bookshelf system (which in its time commanded a $1,500 price tag) broke a few weeks ago, I braced myself, thinking that replacing it would cost me an arm and a leg. Fortunately, the digital revolution has challenged the vacuum tube, lowering the entry level price for near high-fidelity sound systems. Rather than replacing my Denon for another bookshelf system as I had planned originally, I opted for assembling separate components to achieve even better sound quality for a fraction what I had originally paid. The key? The Tripath TA2022 chip, a Class T Amplifier that took the Hi-Fi community by storm around 2004, as you can see in this Six Moons.com review, or in the review of the Virtue.ONE at TNT-Audio. These days everybody and their dog (and perhaps even their cat) makes amplifiers based on some variation of this chip, and you can find amplifiers starting at $25. So, after carefully, or rather obsessively reading reviews online, I concluded that I had to put together a system based on one of these wonderfully cheap Class T Amplifiers. I began by narrowing down my search to amplifiers with good reviews, and produced in the USA. The main reason being that, if you are going to buy an inexpensive amplifier (say, under $100), you don’t want to spend $40 in postage if you need to send it back for repair. The other reason is that, allegedly, you can pick up the phone and get technical support if needed. I opted for the Dayton Audio DTA–100a Class-T Digital Mini Amplifier 50 WPC. It was very easy to setup. I hooked it to two Wharfedale Diamond 8.3 speakers I was using with my Denon, and the sound blew me away. In fact, I had owned those speakers for almost six years, and I had come to terms with the fact that they were mediocre. There were not. They don’t sound like $10,000 speakers but the sound coming from them, so clear and crisp, with such an authoritative bass, was like getting brand new speakers as well. The next step was to get an input switcher, so I could connect several sources to the little amplifier. Thanks to a score of favorable reviews at Amazon, I found the Gemini PA7000 Professional Line Preamp and Input Switcher, which in addition was a preamplifier. It was a breeze to install that one too. To complete the setup, I went to the local BestBuy, and bought a $40 Sonny CD player, which, except for a vibration noise which can only be heard a very close distance (nose-distance close), worked flawlessly. The last piece of the puzzle was an old second generation iPod which had been gathering dust in one of my drawers. I had to replace the battery, but it had a line out which I connected to the Gemini. And the setup was complete. I could now listen to CDs, or lossless files from the iPod, and have great sound in my studio. Granted, it doesn’t sound like a $20,000 rig, but it will hold its ground to almost any other bookshelf system under $2,000. Prices may vary, and you might find some of the components cheaper, but all things considered, this setup gives you for less than $250 sound quality that no bookshelf system costing that much would ever dream of reproducing. This entry was posted in music and tagged amplifier, denon, hi-fi, music on June 22, 2013 by amaru.